Develop comprehensive training programs that encompass strength, balance, flexibility and endurance. Identify the most common injury conditions associated with running. Enhance your client’s workout with running training techniques. Learn self-care techniques and important training considerations for active and recuperating runners for pain-free, performance running. 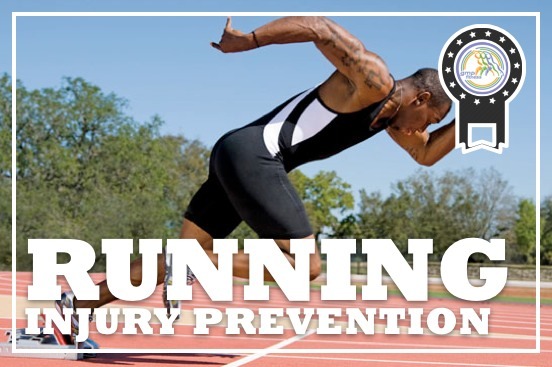 This step-by-step Specialist Course is your absolute course to understanding and helping clients to prevent injuries that occur when they run. Boost Your Business with this This Speciality Certificate Credential … the course will help you expand your marketability to individuals who run or who want to compete in running events. Learn about the causes of the most common running injuries. Gain insight on common beginner running mistakes. Discover why spasms can stop you in your tracks. Learn the trigger points that affect runners. Learn how to correct muscle imbalances. Understand how to get to the source of repeated running injuries. Learn self care techniques to prevent and eliminate spasms. Find the answer on choosing the right running surface. Learn how to gain the edge for optimum running performance. Understand muscles and the source of pain. Discover the training palette of an elite runner. Discover why foot care can enhance performance and efficiency. Apply the key workouts and four phases of fast runners. Understand time to rest body indicators. Gain insight on tips for your first race. Amplify knowledge about proper body alignment. Develop a preventive running exercise program. Understand the importance of cross training. Help clients avoid injury with essential stretches. Provide appropriate instructional cues for proper exercise technique. Gain knowledge on how to create a beginner running program.